When I was 5 years old, my father died after suffering acute myeloid leukemia which was an incurable disease at that time. I am older than my father now and aware of the cancer. I heard DOGLAB can give me a chance of early detection of cancer and it can even detect leukemia. I use DOGLAB twice a year now. My wife says she would like a mammography but she doesn't like the exams with pain. I am going to give her a DOGLAB as her birthday present. I am a mother of a baby girl and I'm breast-feeding now. I was going to take a complete medical checkup while I was pregnant but I couldn't because some have irradiated exams. After giving birth successfully, I applied for a complete medical checkup in a hospital. I would like to have a mammogram, but I was declined. The reason for the decline was "They can't detect correctly because of my mammary gland development." Would I need to stop nursing to take a medical check or not. Then I happened to find DOGLAB. All I needed was to collect my exhaled breath into a bag and send it. I think it is very easy and safe for women who are pregnant or breast-feeding. My first DOGLAB result was negative ! I am going to take the exams every year because I want to be healthy forever for my children ! I had a gastric cancer surgery about one and a half years ago. My health was perfect and I never went to hospital until then. Since I knew of DOGLAB, I thought even I can do that. I don't need to go to hospital and spend a long time there for exams while I am busy. I am very happy because they will introduce the partner clinic for the further exams if the DOGLAB result was positive. This was my first DOGLAB check and my result was negative, fortunately ! 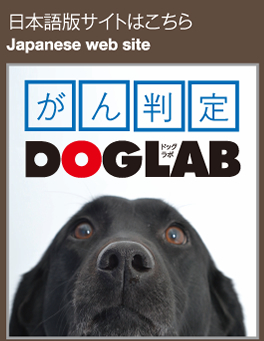 I am going to use DOGLAB from now on. take care of myself because of my job. I enjoy surfing for refreshing myself physically and mentally on holidays. I spend most of my time on meeting my patients in my clinic and do not have enough time for my medical check. I heard about DOGLAB recently and I decided to do cancer screening. It was easy and time-saving, and convenient for a busy person like me. I am happy about DOGLAB and I will use DOGLAB every year. I had a breast cancer surgery 10 years ago. I was still in my thirties at that time. I had never been sick and I was a powerful mom, going to the club and enjoying rock 'n' roll while house working and child-raising. Since my surgery was done, I go to the hospital for annual check and it is stressful. I have to take many exams and some give me pain. I took a DOGLAB screening for the first time. I collected my exhaled breath and put into the bag and sent it in and they sent the result to my house! My result was negative and I am very happy with it. I am going to use DOGLAB every year and stay healthy for my family ! Many friends have suffered from cancer at my age. I was shocked to hear my fellow golfer had cancer. I was thinking I have to take a medical exam but I didn't have time because I often go overseas for my business. DOGLAB is very helpful for a busy person like me because it is very easy to screen cancer. I use DOGLAB every year and I am doing fine. I will recommend DOGLAB to my employees. I am a busy man and work everyday in a hospital and honestly speaking I didn't care for my health . I knew I had to do something and I found DOGLAB. I decided to use it. I love it because it isn't time-consuming and does not give me any pain. DOGLAB can be used for early detection of cancer . My son who aspires to becoming a doctor is also interested in DOGLAB. GUT is the number 1 impact factor in clinical medicine journals regarding gastroenterological medicine, digestive surgery and endoscope. mpact factor (IF) aims at scientific journals of natural science and social science field and it is an index that measures the influence rate and citation frequency.